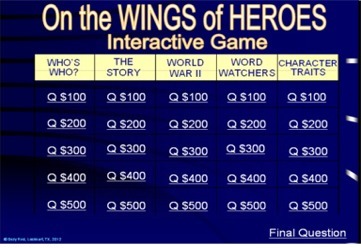 On the Wings of Heroes for immediate download for only $19.95! 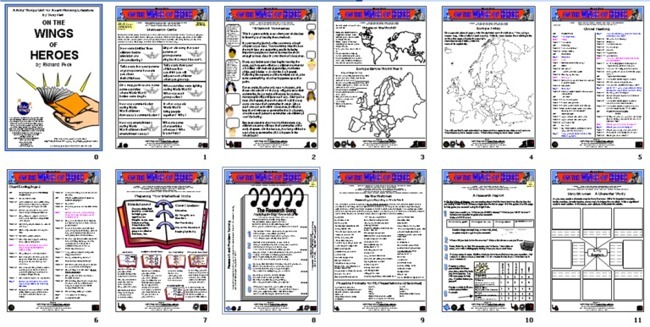 Click Here to Purchase and Download this Unit through Teachers Pay Teachers. You have learned about World War II. You know that Germany, England, Italy, France, the USA, Russia, and Japan were in the war. Do you remember which sides they took? Which of the countries were called Allies? Which were in the Axis? Do you remember why the USA declared war? You understand why the American soldiers left their country, their families, and their friends to risk their lives to stop the enemy in Europe, but do you know what was happening in the United States during World War II? On the Wings of Heroes is a story that blossoms from the home front during World War II and focuses on the family of Davy Bowman. How did Davy's life change as the war crept closer? Did his dad still play hide-and-seek with him and the neighborhood kids? Did his mom still make big yummy birthday cakes? Did his neighbors still tell ghost stories? Did his brother ride on a parade float or in the cockpit of a B-17 Flying Fortress? Through the eyes of Davy Bowman, you will become part of the early 1940s, the rationing, the Victory gardens, paper drives, growing toes squeezed into too-small shoes, Halloween pranks, blackouts, ghost stories, knickers, and all the things your great-grandparents remember well. After you read On the Wings of Heroes, you will want to hear their stories again! Author Richard Peck writes with the authority, experience, and emotion of one who lived during World War II. When he was 19, in 1953, he joined U.S. Marine Corps and became their youngest officer and pilot. 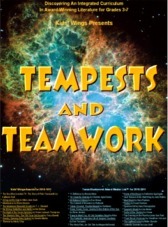 But this author credits his experience as a teacher as the catalyst for his great popularity among readers. "Ironically, it was my students who taught me to be a writer, though I had been hired to teach them," he said in a speech published in Arkansas Libraries. 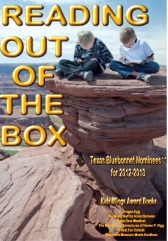 "They taught me that a novel must entertain first before it can be anything else. I learned that there is no such thing as a 'grade reading level'; a young person's 'reading level' and attention span will rise and fall according to his degree of interest. I learned that if you do not have a happy ending for the young, you had better do some fast talking." 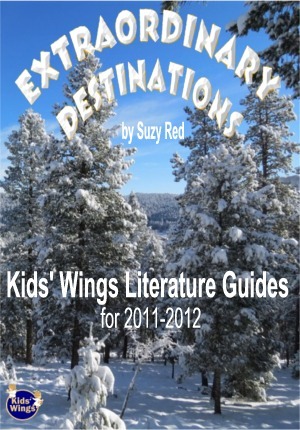 You will find On the Wings of Heroes to be one of his most popular books for all grade levels and your parents, too. 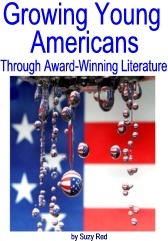 It is a story of silly childhood fun, families growing and sacrificing together, Americans standing strong through frightening times, and finding a deeper love of country. Teachers who want students to enjoy the very best of historical fiction that invites readers into history through a touching story will make the home front of World War II memorable. They will use his playful language and vivid descriptions to become favorite models for students' writing. 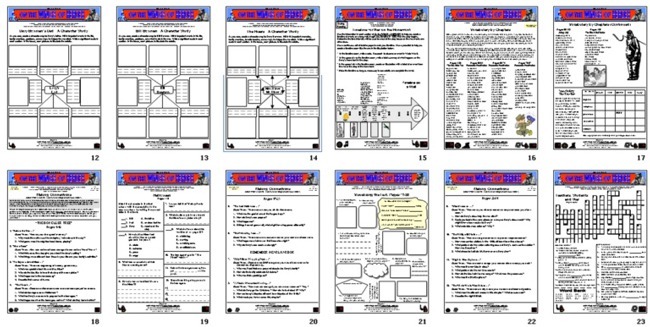 The 38-page Kids Wings literature guide and Jeopardy-like interactive game for On the Wings of Heroes provide multiple layers of activities, group projects, skill building, and research into historic events that provides strength to grow young Americans. for On the Wings of Heroes for immediate download for only $19.95! 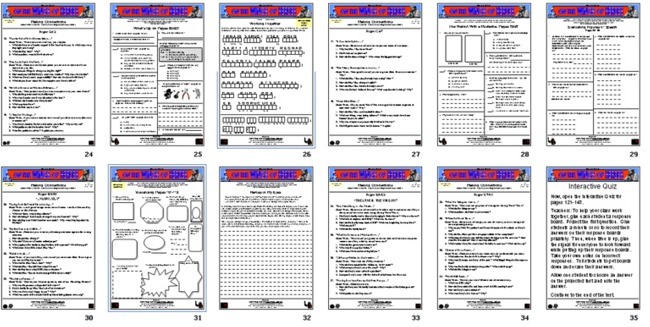 A 38-page unit PLUS interactive Jeopardy-type game, perfect for lesson plans, handouts, or projection on your SmartBoard for On the Wings of Heroes is now available! 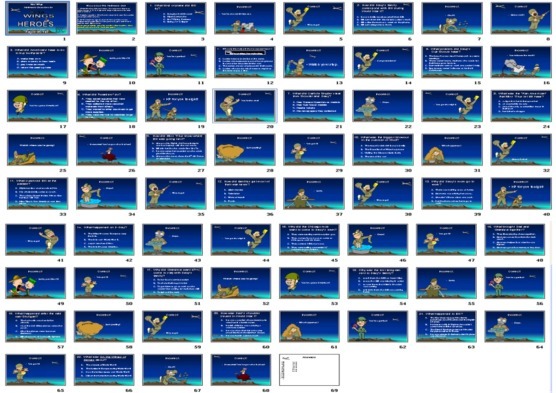 The Big6 Research Song to the tune of "Sixteen Tons"
A very special thanks to Laura's Midi Heaven for allowing us to use their "Stars and Stripes Forever" by John Phillips Sousa as our background music. Buy On the Wings of Heroes NOW! World War II affected me personally. 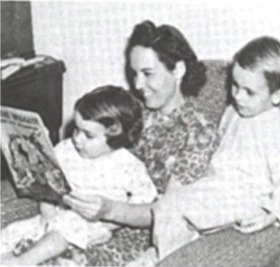 Here my mom reads to my brother and me as she listens for news of my dad who was a sailor on the U.S.S. Lexington. Shortly thereafter, a kamikaze hit the ship, and my daddy was killed. Although I had to grow up without a daddy, he and hundreds of thousands like him made it possible for us to grow up in a safe, free country. Learn about the history from those who experienced it! Some are still alive ... you don't have much time before the only stories you hear will be in the books you read.